How Long Did It Take You to Fill Out Your Tax Forms? According to the Internal Revenue Service, it takes an average of four hours for a taxpayer to fill out their tax return. And that's for those lucky folks who are only required to fill out and file Form 1040EZ. If you have to file Form 1040 (this accounts for about 70 percent of all tax returns), you'll spend an average of 16 hours during the course of a year getting the job done -- the bulk of the time (12 hours) on record-keeping and completing/submitting the proper forms. Believe it or not, this wasn't always the case. A recent article from Business Insider shares a typical tax return from 1948. The return consisted of just one page -- and could probably have been completed in less than 10 minutes! Today's Form 1040 is just slightly longer, comprising a manageable two pages. But it's the set of rules for completing those two pages (along with the slew of additional worksheets many of us must also complete), explained over 206 technical pages, that leaves most of us crying uncle. It's little wonder more than 80 million of us pay $10 billion each year to hire professional tax help (unqualified though they may be) to complete our returns for us. A handful of countries (Denmark, Estonia, Finland, Iceland, Norway, Sweden, Chile, and Spain) already use "pre-populated" tax returns. For the most part, this means that the country prepares a tax return (using the wage data received from the citizen's employer), runs the relevant calculations, and then mails the return to the citizen for review. If it's correct, you're done. If a change needs to be made, you make it, mail it back -- and you're done. Simple as that! No waiting by the mailbox for your W-2. No interest deduction forms that your kids can accidentally toss away. Heck, you may not even need a calculator. More than just being a welcome stress relief, %VIRTUAL-article-sponsoredlinks%this process also results in quicker tax refunds, fewer audits -- and of course fewer employees needed at the tax department (which trickles down into smaller taxes!). Of course, this free, automatic form of filing taxes is possible because those countries have simpler rules surrounding personal income taxes (meaning you may not be able to deduct mortgage interest, student loan interest, or charitable deductions) -- which is a topic for another article entirely. Nevertheless, a simpler method for filing taxes is not only possible, but it's also receiving much praise. Unfortunately, you'd have to move outside of the U.S. to take advantage of it. Taxpayers may forget that donations they gave last year may get them a bigger refund. If you cleaned out your bulging closet and dropped off clothing or household goods at your favorite charity, this may be deductible on your tax return. Taxpayers taking a full course load and working toward a degree can receive education benefits through the American Opportunity Tax Credit for college expenses. But even those who just took one class to further their career may be able to take the tuition and fees deduction. With this credit, you can deduct up to $4,000 for tuition and fees, books and educational supplies for you, your spouse or your dependents. Taxpayers can deduct state income taxes, but what about residents of states that don't have a state income tax? In this case, the state and local sales tax deduction is especially useful because these taxpayers can deduct sales tax paid on purchases. Even people who live in states that pay state income tax can benefit if they paid more sales tax due to large purchases. The earned income tax credit is a refundable tax credit given to filers who earn low to moderate income from their jobs. 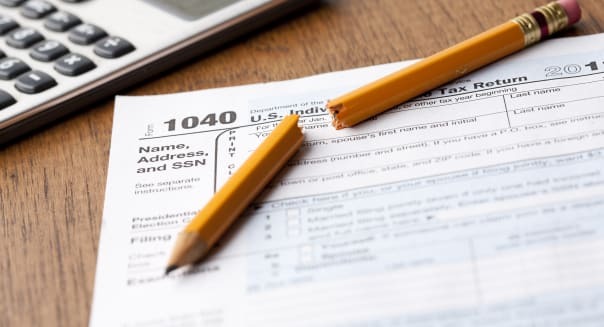 The credit can be worth up to $6,044, depending on your income and how many dependents you have, but one in five tax filers overlook this opportunity, according to the Internal Revenue Service. You must file your taxes to get it, so even if you make less than $10,000 (the minimum income filing requirement), you should still file your taxes. If you were looking for a job last year, you may be able to deduct costs related to your job search -- even if you didn't secure a job. Job search expenses such as preparing and sending resumes, fees to placement agencies and even travel related to the job search can be included. This credit is often overlooked and seldom talked about. If you have an income up to $29,500 ($59,000 for married filing jointly), you can save for retirement and get a tax credit worth up to $1,000 for individuals and $2,000 for couples if you contributed to a qualifying retirement plan such as an individual retirement account or 401(k). The retirement saver's tax credit is a win-win situation since contributions to your IRA may also be a deduction from income. Taxpayers who weren't so lucky gambling last year should know that losses can be deducted if they itemize their deductions. However, your amount of losses cannot surpass your winnings, which must be reported as taxable income. For example, if you have $2,000 in winnings and $4,000 in losses, your deduction is limited to $2,000. Make sure to collect documentation such as receipts, tickets and other records to support your losses.